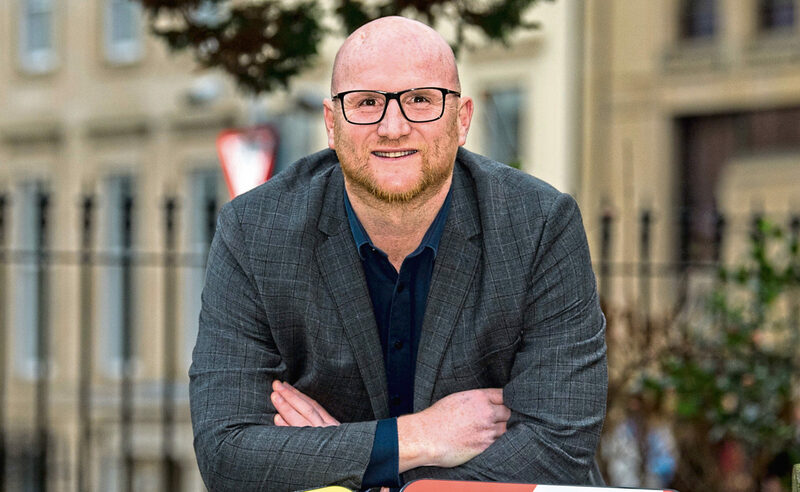 JOHN HARTSON has been involved with Celtic at the stage of a season when they have been in the hunt to win four trophies – the domestic Treble and the UEFA Cup. Top of the Premiership, and with the League Cup already in the bag, this afternoon the Hoops take on St Johnstone in the Scottish Cup. Then on Thursday night, they entertain Valencia in their last-32 tie in the Europa League. 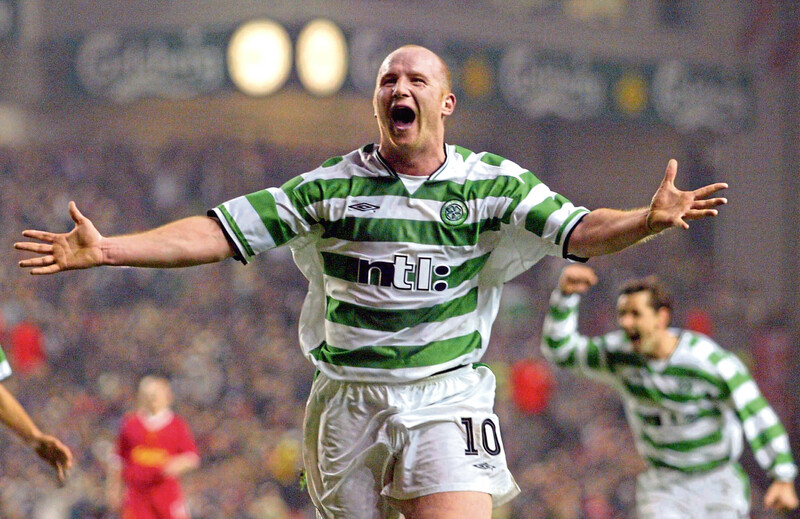 It brings back memories for Hartson, some of them painful. Back in season 2002-03, Martin O’Neill’s side had some incredible results and performances, such as beating English Premiership sides Blackburn Rovers and Liverpool away from home in the UEFA Cup. But the season ended with the domestic trophy cabinet bare, and they lost the European Final to Porto, 3-2 after extra-time. Rangers ended up winning the Treble, taking the title by one goal on the final day of the season. As Hartson casts an eye on the current situation at Parkhead, does he see any similarities to 16 years ago when he was in O’Neill’s side? “When I look at what Brendan Rodgers and his players have to do in the next three months, it makes me think about what we had on our plate,” Hartson told The Sunday Post. “First of all, I think their main focus will be on the domestic scene. I don’t think at this stage they’ll be thinking that they are going to the Europa League Final. “Their main outlook will be keeping their distance from Rangers and the rest at the top of the table. “But if they can produce a performance over two legs to knock out Valencia, then they may well allow their minds to dream a little bit, and rightly so. “When I think back to that 2002-03 season, it’s still very fresh, for different reasons. “Yes, we were riding the crest of a wave in Europe and we were all loving the ride. “We knocked out Celta Vigo to secure European football beyond Christmas for the first time in more than 30 years. “I scored that night in Spain. We lost 2-1 but went through on the away goal rule. “To then go on and defeat the likes of Liverpool was quite breathtaking. “I scored at Anfield as we won 2-0, and it remains one of the most favourite moments of my entire career. “We reached the Final by defeating Boavista, thanks to a goal from Henrik Larsson. “I was so looking forward to a European Final. But then I hurt my back, and was out for a few weeks. “I was really down at missing out on the climax to the campaign after playing my part for the previous six or seven months. “To then end the season with nothing to show for our efforts was heartbreaking. “Even now, I still find it hard to take. It still makes me shake my head in disbelief. “You know, I’d scored around 20 league goals that season and we still had five or six games to play in the league when I got injured. “We lost the League to Rangers by a single goal, and once or twice I’ve thought to myself that if I had stayed fit, then I would have scored another three or four goals in the remaining games and that would have seen us win the title. “But it wasn’t to be. That’s football. “We definitely fancied our chances of European success in 2003 after we beat Liverpool. “We had some experienced campaigners and a dressing room full of winners, from Henrik to Chris Sutton, Paul Lambert to Stan Petrov and Neil Lennon to Johan Mjallby. “Martin O’Neill was also a special manager and he loved every moment of it. “He helped give the club back some credibility in Europe after a few years of disappointing results. “He believed we could win every single game and that positivity rubbed off on the squad. “I think Brendan is very similar in terms of the belief he instils into his players. He has been a fantastic manager for the football club, very special indeed. “But everyone at Celtic will also know the importance of not getting carried away and making sure they win eight-in-a-row. Celtic face St Johnstone this afternoon in the William Hill Scottish Cup fifth round tie at Parkhead. Since the winter break, Celtic have played six games, won all of them, scored 16 goals and conceded none. Impressive by any standards. The arrivals of Timothy Weah and Oliver Burke have added to their attacking options, and both have settled in very well. Hartson would love to see Weah’s loan deal from PSG extended as soon as possible to include the whole of next season. He said: “The form has been recaptured at the right time for Celtic. The business end of the season is creeping up on us all and that’s when there is no margin for error. “This weekend the priority for Celtic will be beating St Johnstone to take another step closer to winning a treble Treble. “A double Treble was unprecedented, but now they are only a dozen wins away from doing yet another domestic clean sweep. “With the quality they have at their disposal, I would fancy them to do it. “I really like the look of Oliver Burke. He is direct and powerful. He is an absolute handful. “And for 18-year-old Timothy Weah to have such an impact in the space of just a few weeks speaks volumes for the lad. “There is clearly a good working relationship between Celtic and PSG. “If that can help get Timothy for another 12 months beyond this summer, then the club should be doing everything it can to get it over the line, similar to what happened with Patrick Roberts from Manchester City two or three seasons ago. “Weah really lights up a game and he has some effective attributes. “I also think that Scott Brown has that bite back in his game. “He now has the contract situation resolved to his satisfaction, and that’s great news for him and for the club and the Celtic supporters. “To be totally honest, I don’t think he ever really seriously considered leaving Celtic for Australia because he still has plenty to achieve with Celtic. “He is the man who will want to lead them to 10-in-a-row. He can most definitely do it. “But Scott would be the first person to say that there is no point in getting carried away. “They really do need to take it one game at a time, and that outlook has served them well in the past two-and-a-half years. “They are most definitely on the right track, but they need to remain professional and get the job done against St Johnstone.